Nelson DeJesus, Sr. found his calling in the medical field while serving his country as a U.S. Army Medic. He has an honorable discharge from both the U.S. Army and the U.S. Marine Corps. During the past 25 years he has been certified and worked as a Florida State licensed Paramedic, Florida State certified Fire Fighter, Fire Lieutenant, Florida State Fire Officer 1, Marine Response Team (Dive), Hi-Rise Technical Rescue Team, Vehicle Rescue Extrication Team, Water Safety Instructor, Child Swimming Instructor, Basic Trauma Life Support Instructor, International Trauma Life Support, Advanced Cardiac Life Support Instructor, Pediatric Advanced Life Support, CPR / First Aid Instructor – YMCA, CPR / First Aid Instructor Trainer – American Safety & Health Institute, CPR Instructor – American Heart Association, CPR Instructor – National Safety Council, CPR / First Aid Instructor – American Red Cross. 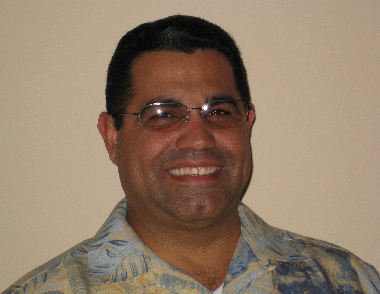 Mr. DeJesus has many years’ experience working in Emergency Departments; i.e. ; St. Joseph’s Hospital Emergency Department (Level 2 Trauma Center), Tampa General Hospital Emergency Department (Level I Trauma Center). Being in the medical field for over 30 years, he brings his experiences to the class. Mr. DeJesus keeps up with his medical studies and is a participant and a Trainer for the American Safety & Health Institute, the American Heart Association, the National Safety Council, and the American Red Cross.